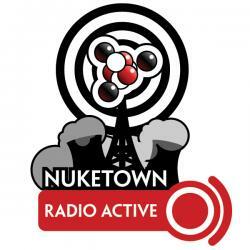 Summer’s over and Nuketown Radio Active is back in the saddle as I talk about a different kind of game day, dodge a bullet with a crashed hard drive, get ready for a Western-themed Nuke(m)Con 2008. My promised review of Dungeons & Dragons 4th Edition has been bumped to Radio Active #72, and instead I talk a little about the challenges of reviewing the game, and what my gaming group’s decided to do with the new edition. It’s been one long, crazy summer. Way, way too much work to do, which led to way, way too few podcasts. But the semesters under way, and I’m getting back to my regular routine. Have you backed up recently? StarGirl and I made it to two IronPigs games. Fantastic fun, great family-centric environment. I can’t wait to go again next year; I’m thinking about getting a multi-game pack. My gaming group’s gearing up for its home-grown gaming convention, Nuke(m)Con. We’re going with a western theme this year, focusing on games like Aces & Eights, Deadlands Reloaded, Serenity and Dogs in the Vineyard; all games we bought over the last year or so, but never had a chance to play. And, of course, there will be D&D. Dozens of RPG bloggers have come together as part of the network. This site aggregates their posts into a central, easily browseable location. Sorry, no review in this edition, but it will be in Radio Active #72. I know this because I already wrote it. Instead I talk about my challenges writing the review, and what may gaming group’s decided to do with 4E going forward.